One of the “Best Games of 2014” in the “Mac App Store Best of 2014”! NOTE: If you experience problems launching the game, check you are signed into Game Center, then try again. 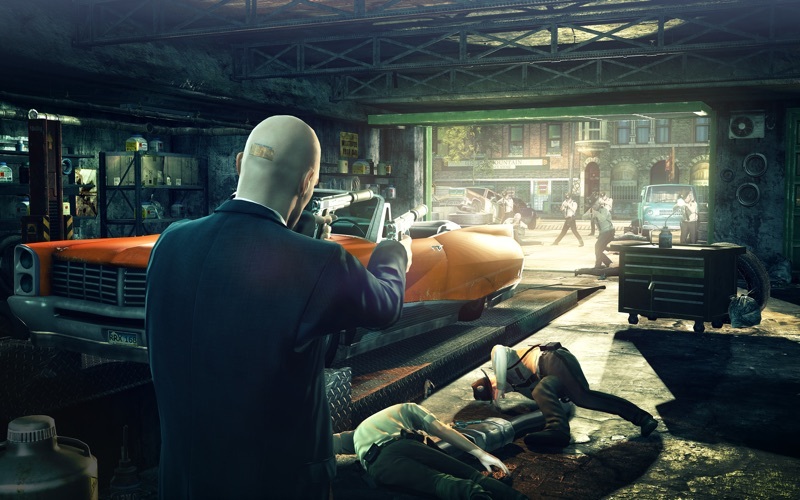 Become Agent 47, a genetically-engineered killer, and use your skill and ingenuity to turn assassination into an art. With extraordinary reflexes, creative stealth techniques and a powerful arsenal of weapons at your fingertips, pulling off the perfect hit has never been so much fun. Get ready to use all your deadly talents in a very personal contract: protecting a vulnerable girl from a sadistic criminal underworld. Marked for death by your former employers and on the run for your life, it’s up to you to save the girl and eliminate your enemies by any means at your disposal. • Become Agent 47, a cloned killer granted strength, endurance and intelligence beyond normal human limits. • Turn everyday items like bricks and books into instruments of death - when choosing your methods of murder, anything goes. • Operate as a silent assassin by sneaking your way through danger and executing stealthy takedowns. • Hide in plain sight by assuming multiple disguises, from an enemy guard to a humble janitor. • Find and exploit environmental hazards like faulty machinery, drops from deadly heights and even precariously-hanging disco balls to engineer creative executions. • Stage lethal accidents to kill off targets without raising the alarm. • Wield an array of high-tech weapons, explosives, Silverballer pistols and of course your fiber wire garrote. • Instantly terminate multiple foes with Point Shooting, an extraordinary skill that allows you to slow down time, take aim and unleash pinpoint-accurate shots. • Use your vision-enhancing Instinct ability to spot threats through walls, predict guard patrol patterns and highlight points of interest. 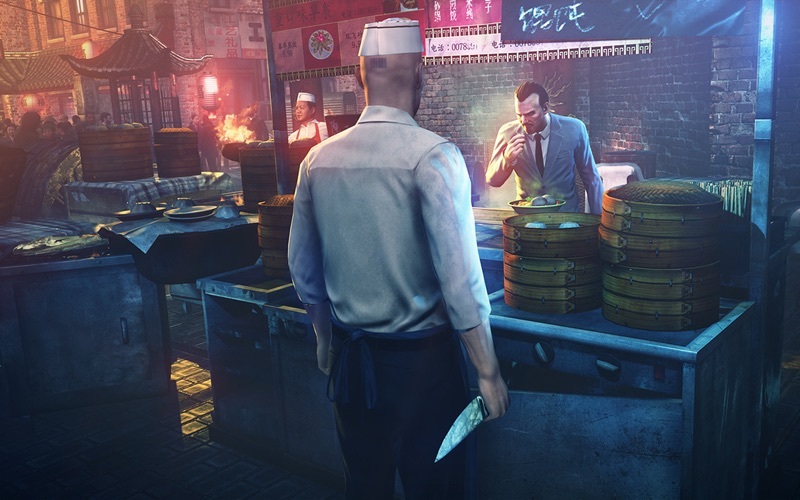 • Create your own devilishly-designed missions in Contracts mode; assassinate any three targets with the most cunning methods you can muster, then invite other players to beat your performance by sharing contracts online. 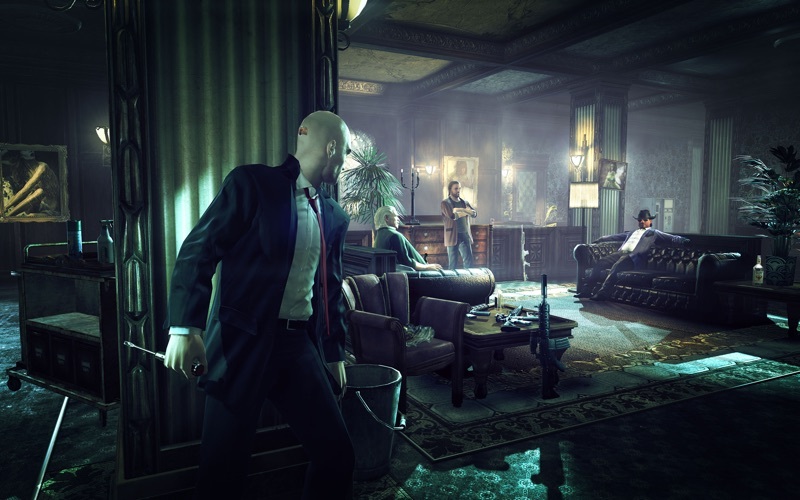 • Hitman: Absolution - Elite Edition contains all previously released add-on content, including Hitman: Sniper Challenge - a standalone hit that challenges you to pull off audacious kills and cover your tracks using only your sharpshooting skills. • Minimum System Requirements: Processor: 2.0GHz, RAM: 4GB, Graphics: 512MB, Free Space: 24GB. • The following graphics cards are not supported: ATI X1xxx series, ATI HD2xxx series, Intel GMA series, Intel HD3000, NVIDIA GT1xx series, NVIDIA 7xxx series, NVIDIA 8xxx series, NVIDIA 9xxx series and NVIDIA 3xx series. • The following cards require you to have 8GB of system RAM: Intel HD4000. ©2014 IO Interactive A/S. All rights reserved. 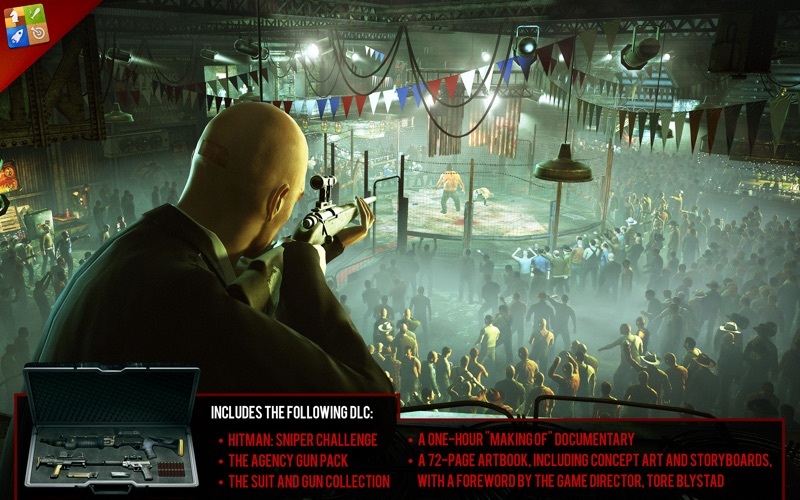 Originally developed by IO Interactive. IO Interactive and the IO Logo are trademarks of IO Interactive A/S. 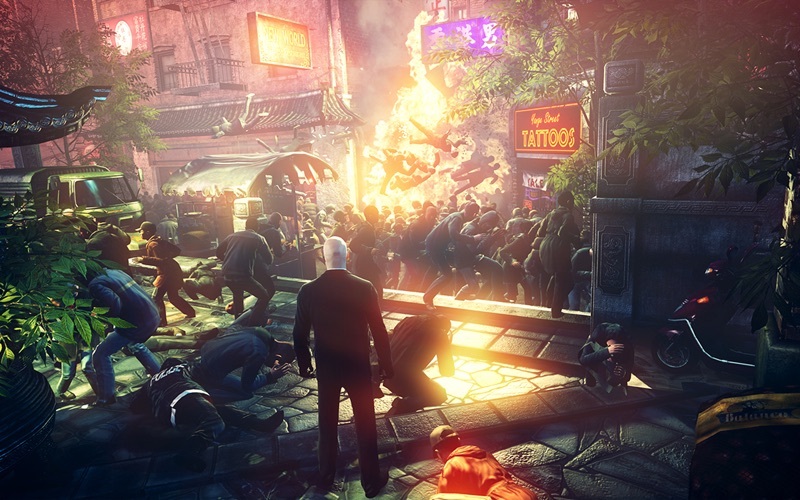 Hitman Absolution and the Hitman logo are trademarks of Square Enix Ltd. Square Enix and the Square Enix logo are registered trademarks or trademarks of the Square Enix Group. Developed for and published on the Mac by Feral Interactive Ltd. Mac and the Mac logo are trademarks of Apple Inc., registered in the U.S. and other countries. Feral and the Feral logo are trademarks of Feral Interactive Ltd. All other trademarks are properties of their respective owners. All rights reserved. • Adds functionality for connecting the game to a Feral Account.